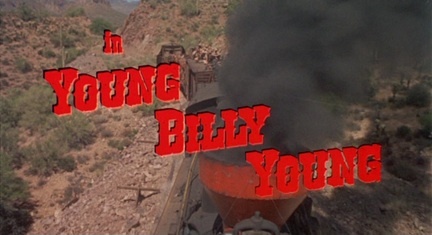 The 125th Soundtrack of the Week is Young Billy Young, music composed and conducted by Shelly Manne. 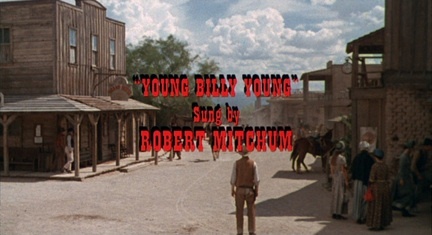 "Young Billy Young (Main Title)" begins with an infectiously groovy intro for guitar, harmonica, bass and drums. Then it switches gears very quickly into a different kind of groove, much more laid back but still intense. Billy Edd Wheeler sings the title song, which has lyrics by Ernie Sheldon. "Mexican Soldiers" starts off sounding like some of Lalo Schifrin's Mission: Impossible music. The main title theme comes in over very impressive snare drum work, presumably courtesy of the composer. There's some great Hammond B3 playing also. The third cue, "Kane's Vision", is mostly dreamy, atmospheric percussion ensemble with a bit of guitar, piano and bass. It's a collection of quiet sounds, sparsely assembled. I heard chimes, cymbals, the inside of the piano, perhaps castanets and waterphone. After that comes "Stagecoach Stomp", a feature for the bass player. I wonder if it was Monty Budwig. Again an interesting assortment of percussion instruments, this time augmented by jaw harp, creates an interesting musical space. The bass takes care of the rhythmic pulse while the drums play mostly melodically, often in unison with a glockenspiel or something. There's a banjo break also. "Lily and Kane (Love Theme)" features the guitarist again, and is a sensitive ballad, as you'd expect, with Spanish or Mexican guitar influences. "The Train (Pup Tent)" is the first cut on Side Two. It starts out as pure suspense with droning bass, shaker and guitar. The snare drum, jaw harp and harmonica come in with the main title theme and the guitarist takes a great solo. Again, Manne's drumming is exceptional, as is the way he comes up with several shifting rhythic ideas for a relatively short cue. "Jail Surrounded" begins as a sort of off-kilter jazz piece with incredible bass playing. It goes through a number of changes. There's electric guitar with very intense tremolo. At almost four minutes, it's the second longest piece on the record (after the main title) and a brilliant composition. "Quicksand" has some long lines for horns punctuated by timpani. The timpani and the bass end up collaborating while other instruments build tension. Eventually the band relaxes into a variation on the main title theme, with banjo playing a prominent part. Then they quicken the pace for a sort of hoedown version with a beaten-up old piano getting its keys pounded again. The bass introduces "Boone Done In" and is soon joined by the electric guitar again, again with the tremolo. The mood alternates between tension and playful riffs on the main theme. The Hammond organ reappears also. The last track is "Young Billy Young (Reprise)", just the vocal part without the intro. This is a really great record and not, as far as I know, available on CD. There's no information about the musicians, though I suppose it must be Shelly Manne on drums. I'd be surprised to learn it's not Monty Budwig on bass. While I've had this record for about fifteen years, I saw the movie for the first time a couple of months ago. 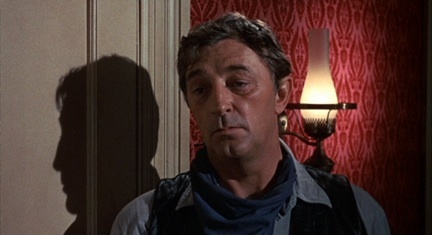 It's basically a post-Leone upgrade of an earlier Mitchum movie, Man with the Gun. 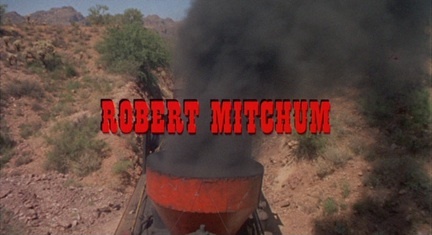 Once again Mitchum is a town tamer with a tortured past and an attraction to a local woman of ill repute. 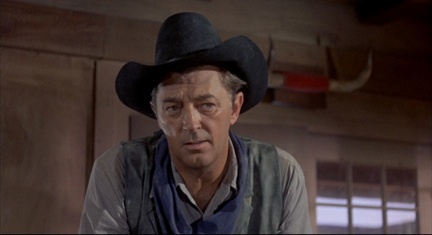 Like many a spaghetti western, and like the considerably more compelling Mitchum western Pursued (a masterpiece whose Max Steiner score was the tenth Soundtrack of the Week), Young Billy Young features flashbacks of its hero's traumatic past. It's a decent movie but nothing special. Man with the Gun was better. 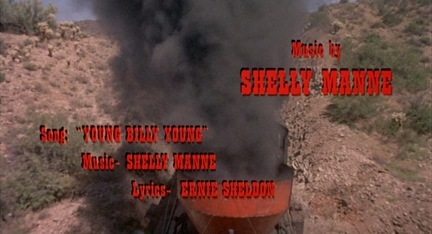 Shelly Manne's score is excellent, though, and sounds like it was influenced by Morricone's spaghetti western music, just as Young Billy Young was probably influenced by Once Upon a Time in the West. I think the record might be a re-recording of the music for the album release. 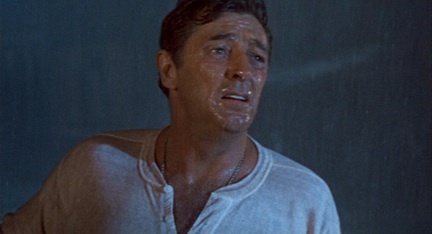 Robert Mitchum sings the theme song in the movie but not on the record. 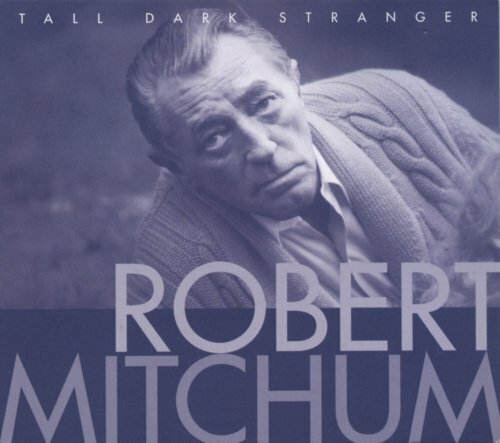 Mitchum's recordings of the theme (one for the opening credits and a reprise for the end credits) can be found on the Bear Family CD Tall Dark Stranger.